When searching for something to eat late at night in any major city, you can almost always find a pizza joint still open somewhere downtown. One recent Saturday night feeling a bit hungry after a Nick Cave and the Bad Seeds concert at the Ryman Auditorium, I thought I’d give Caesar’s Italian Restaurant a try. Perhaps based on its location near the swanky Hermitage Hotel, I mistakenly thought Caesar’s was an upscale Italian restaurant. Their website photos give that impression. 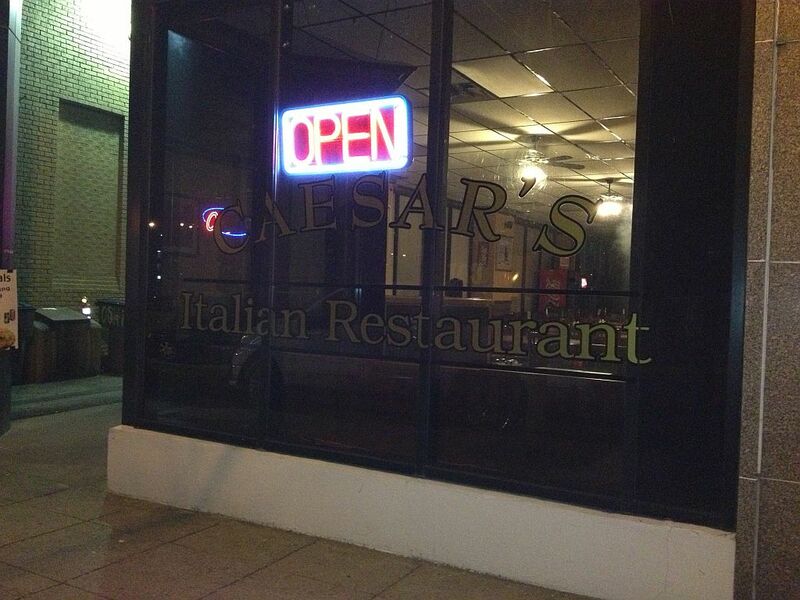 In reality, although they do offer many Italian dishes other than pizza, it is just a casual, order at the counter place open until 5 a.m. It was just after 11:00 p.m., and the place was dead empty. The only activity seemed to be the readying of phone orders for delivery, most likely ones that would go on foot to downtown condo dwellers. 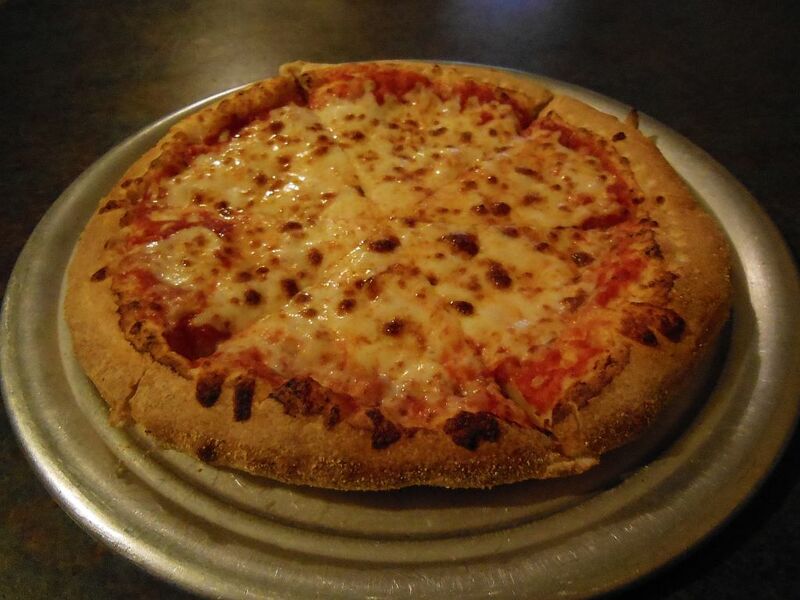 Not a slice place, I ordered the $6.99, 10-inch cheese pie. 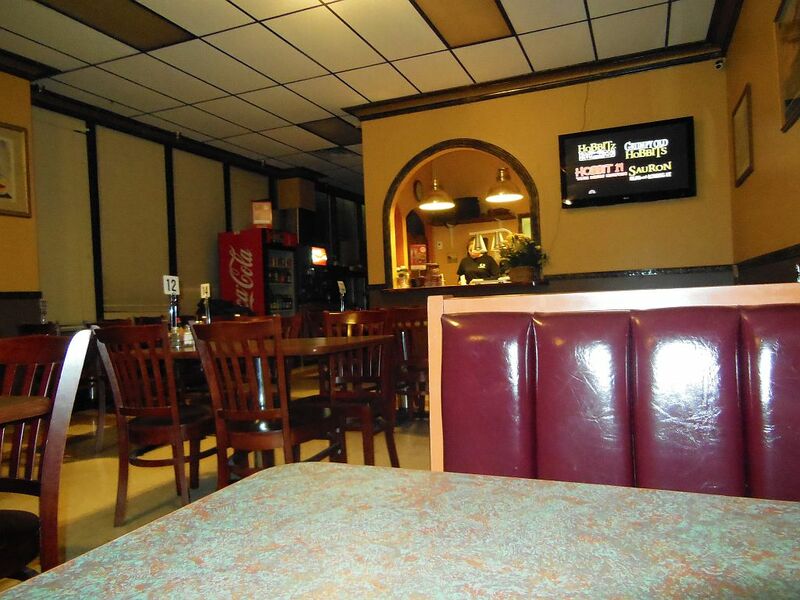 I sat down in a booth to watch Saturday Night Live on the wall-mounted flat screen TV while I waited. My pie didn’t take long to arrive, but at first glance I knew this tiny, puffy looking six-slicer would be a disappointment. It was way too cheesy and doughy. Its total lack of crispness made it floppy and mushy. Two positive things about it were it satisfied my late-night hunger and it had fresh tasting ingredients. Looks like I’ll be searching for another late night pizza joint. PIZZA SNOB RATING ** Why Did I Waste Those Calories?